Do you love smoothies but feel like you are in a rut? Why not trying an unexpected flavor to change things up? A twist I tried this week is fresh turmeric. Turmeric is a rhizome in the same family as ginger and is more typically used dried, though it is just as delicious fresh. 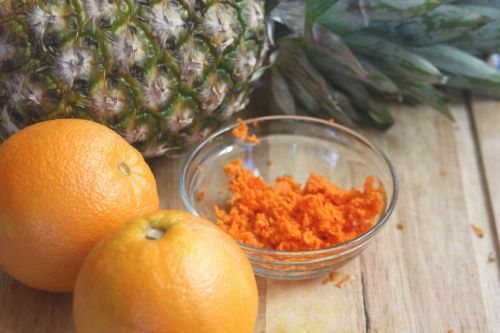 To use it, simply shred a bit of the peeled turmeric and use accordingly. For my smoothie, I made sure not to get too carried away since I didn’t want the slight bitterness of the spice to overpower my drink. 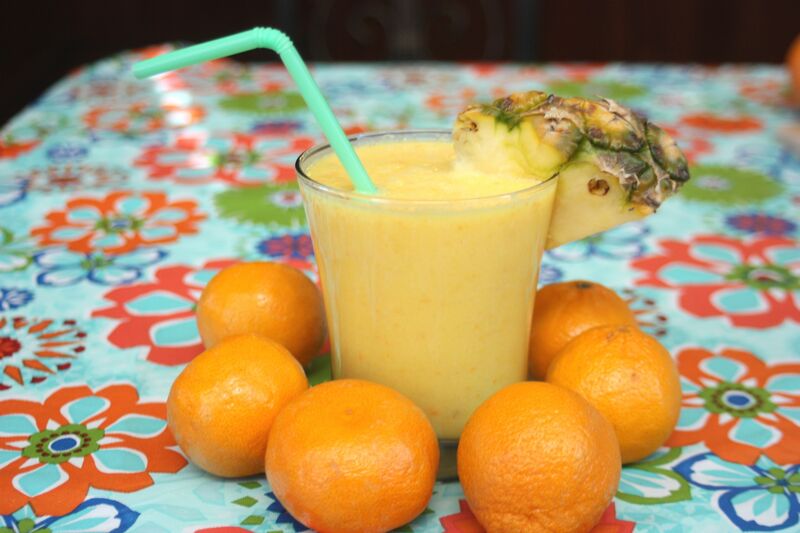 My Tropical Turmeric Smoothie was heavily loaded with fresh pineapple and freshly squeezed orange juice, and rounded out with Greek style yogurt and of course the turmeric. The pungent flavor of the turmeric provided a great balance to the pineapple so the drink wasn’t overly sweet and was enough of an exotic flavor to make all of my guinea pigs guests take notice. 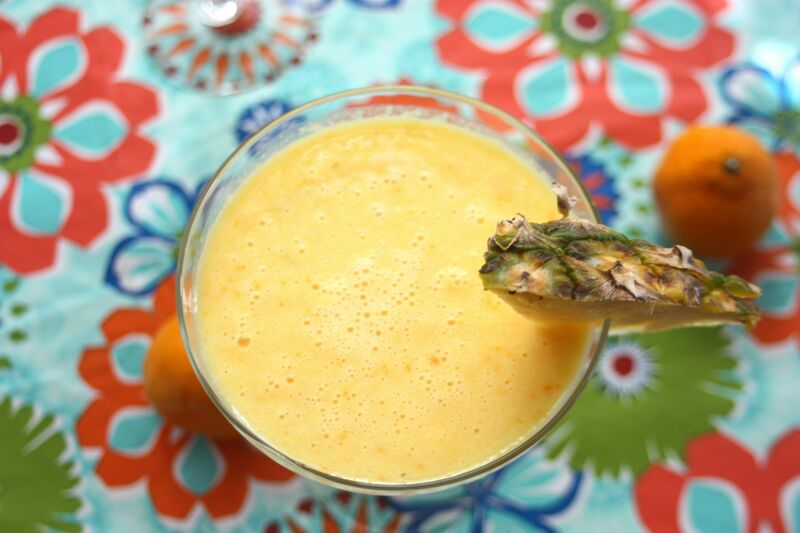 Even without these extra perks, a Tropical Turmeric Smoothie is a fun and healthy way to start your day! 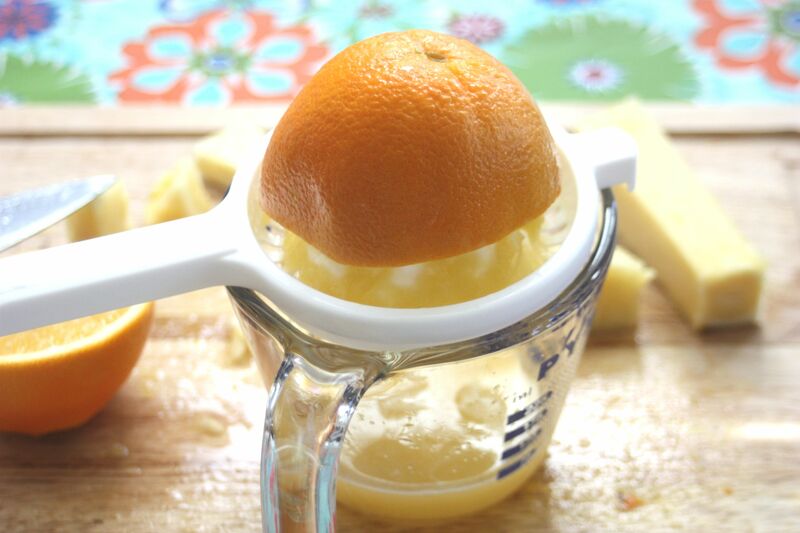 blend all of the ingredients in a food processor or blender until smooth. 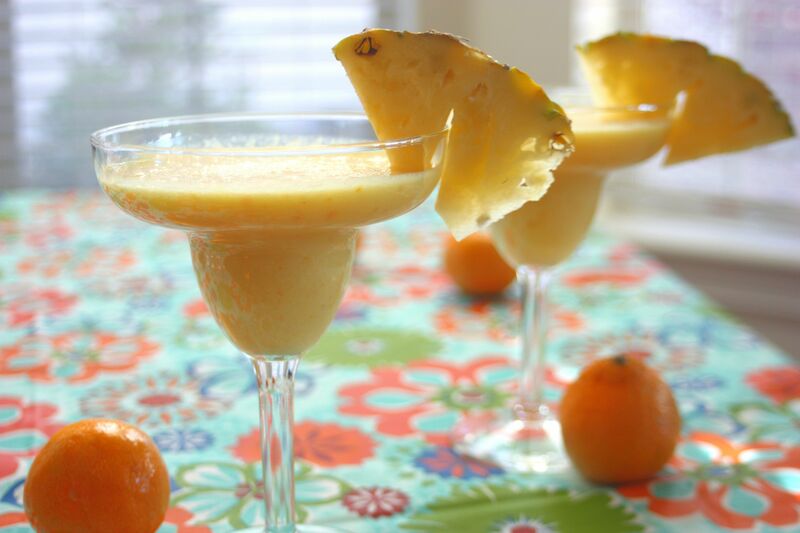 Pour into four glasses, garnish as desired, and serve immediately. 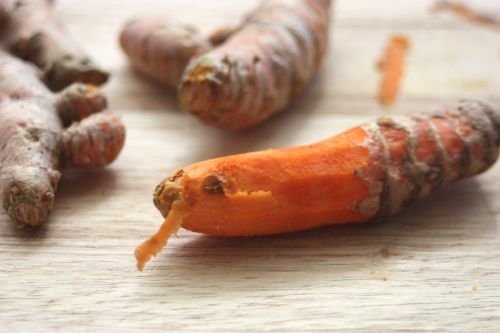 Note: Fresh turmeric stains clothes and skin easily (it is even used as a natural dye) – prepare with caution. 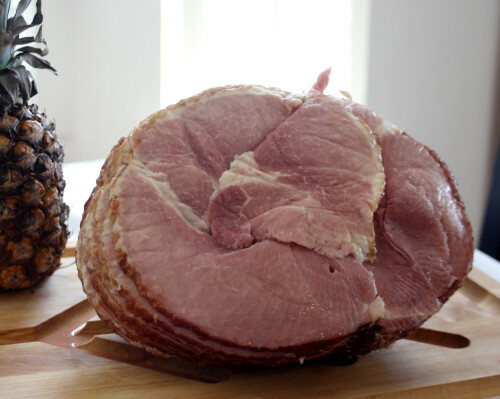 Spiral sliced ham is one of those food items that is a drool-over main event at Easter feasts, only to be passed by for other protein-laden treats as spring fades to summer. Since turning on the oven during the dog days of summer isn’t fun, why not take the spiral sliced ham to the grill? 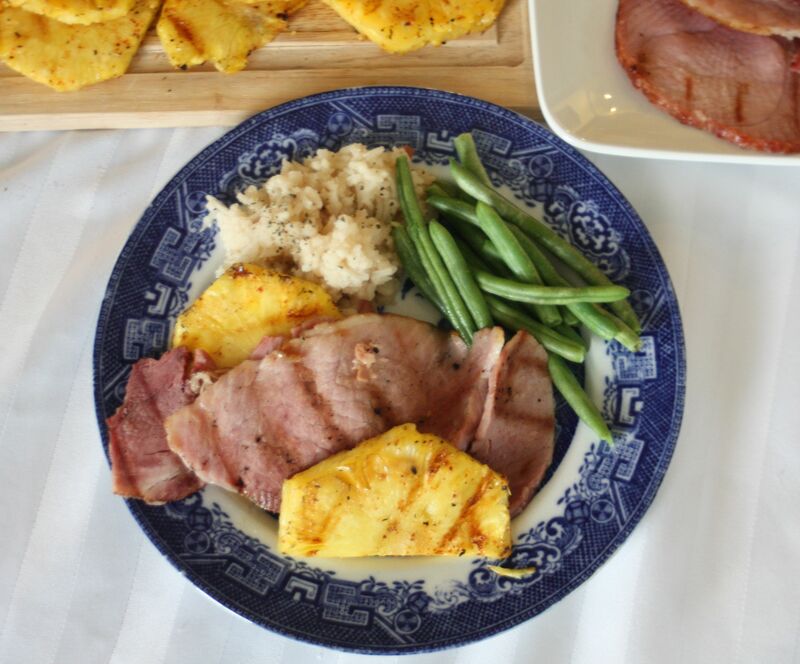 I removed individual slices of the ham from the bone, and then carved up a fresh pineapple as its grilling companion. 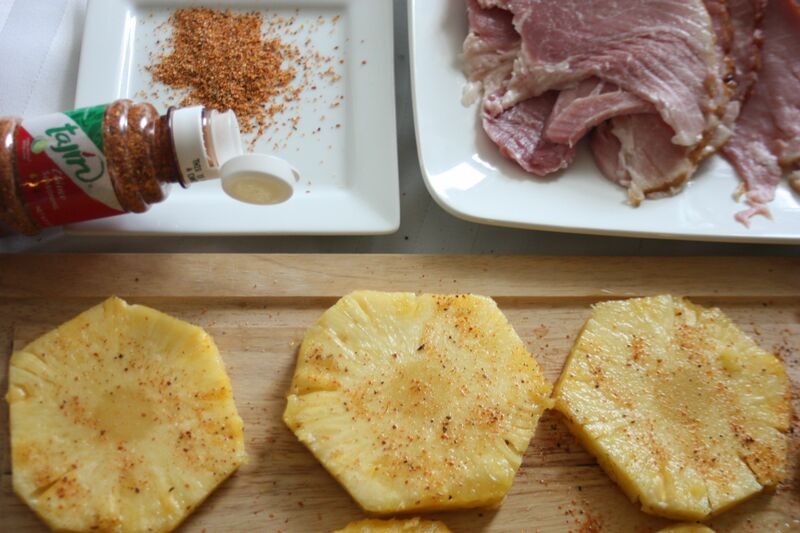 The pineapple received a sprinkling of tijon seasoning, a chili-lime salt with a sweet undertone, before being kissed by flames. 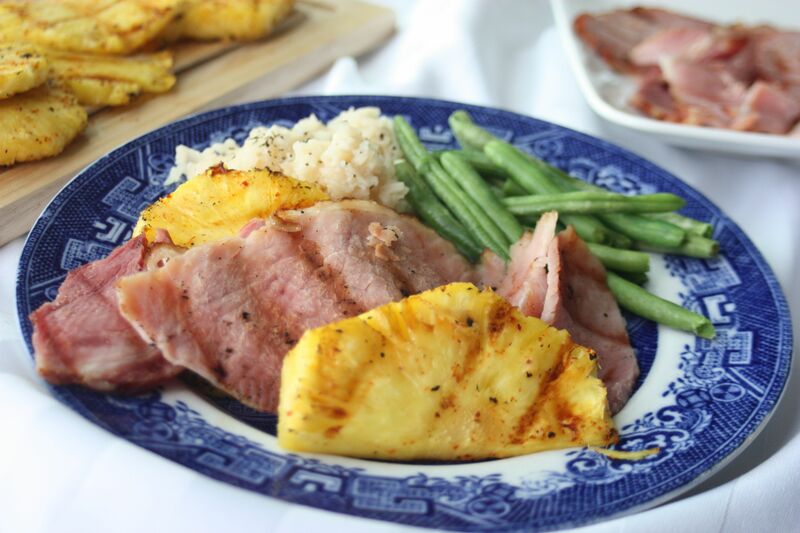 I grilled the ham for 1-2 minutes per side, and the pineapple 3-4 minutes per side over medium heat until grill marks formed and the pineapple began to caramelize. The result was a refreshing dinner without the hassle of a stuffy kitchen. What items have been new grilling adventures for you? Preheat a grill to medium heat. Remove enough ham from the bone to feed your crowd; set aside. Remove the stem and skin from the pineapple, and then cut into ½ inch thick slices. Sprinkle both sides of the pineapple with the lime-chili seasoning. Place the ham on the grill and cook for 1-2 minutes per side or until grill marks form. If grilling in batches, remove from the heat and keep warm. 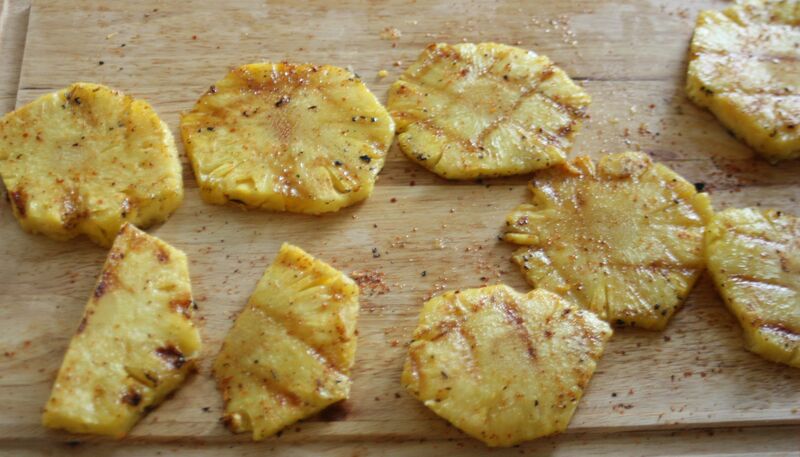 Place the pineapple on the grill and cook for 3-4 minutes per side or until grill marks form. Serve the ham and pineapple immediately.